supporters of EB Research Partnership, the Deshes have already generously donated more than $5 million, dedicated to funding research for innovative breakthrough treatments and ultimately a cure for all forms of EB. ​Their giving has funded medical advancements at leading global institutions such as Stanford University and the University of Minnesota, where scientific research teams are pioneering new treatments and an eventual cure for EB. Their support is accelerating life-saving research from university labs into clinical trials, thereby shortening the timeframe to commercialization and providing vital help to people who suffer from EB. The Deshe Family selected EBRP after an extensive search conducted by the Philanthropic Advisory Services at Bessemer Trust. "It is hard to find a stronger partner in the fight to cure EB than the Deshe family, and we are very fortunate to have the tremendous support of Ari, Ann, Elie, David, Dara and Daniel," said Alex Silver, Chairman of EBRP. "The Deshe family wants to move this cause forward and change the lives of all those suffering from EB. We are grateful for their commitment to seeing this through. You hope for a family or donor who has compassion and heart to stay involved to help accelerate progress." 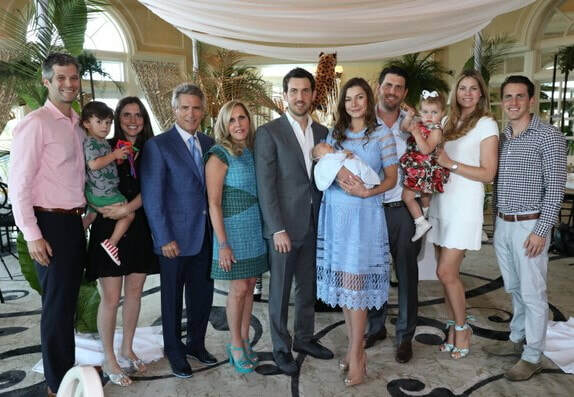 In addition to their philanthropy, Ari and Daniel serve on EBRP’s Board of Directors and the family hosts an annual event to help advance the foundation's mission to back the most promising scientific research around the world.